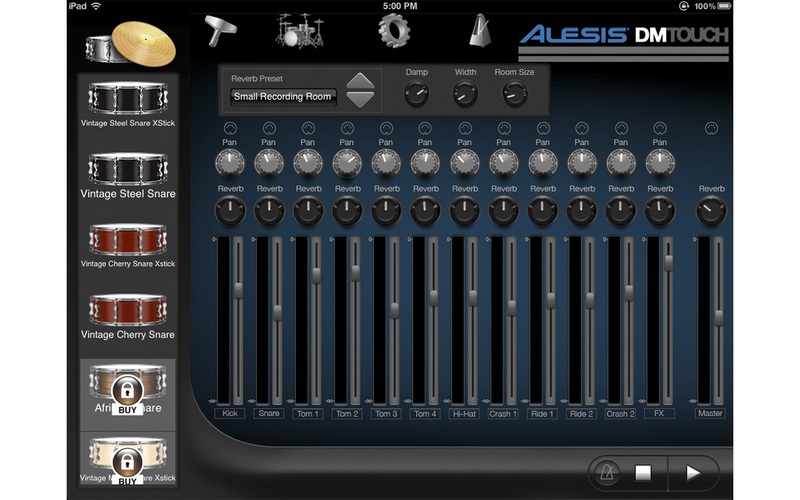 Turn your iPad into a drum module. 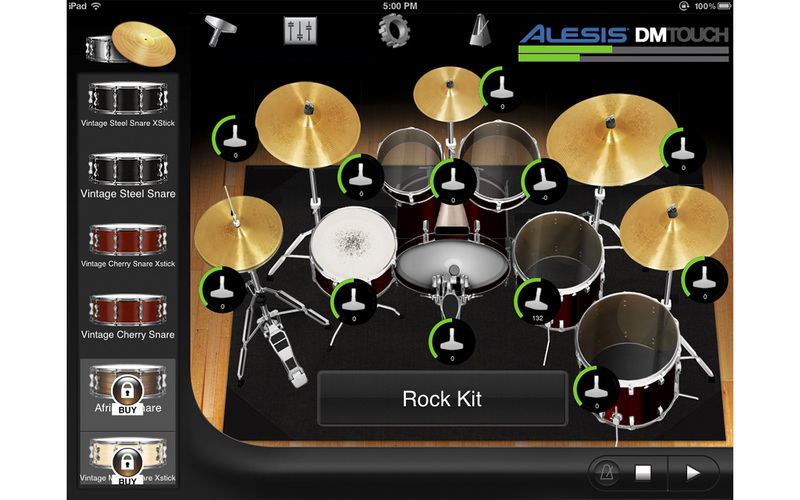 DM Touch, the companion app to the Alesis DM Dock, transforms your iPad into a full-color, multi-touch drum module. With 10 professional drum kits from the leading software developer SONiVOX, you can instantly call up and play a range of preset rock, jazz, electronic kits, and more. Customize each kit by choosing from 145 sounds and dragging and dropping them directly onto the DM Touch interface. The included premium sample library includes snares, kicks, cymbals, electronic drum, and percussion samples. DM Touch also includes many controls for tuning, mixing, and customizing your sounds. DM Touch integrates with your other audio apps to expand the creative potential of your iPad and your music. With Inter-App Audio support for iOS 7, you can record, edit, and mix your drum performances with iOS 7 apps, such as GarageBand or Cubasis. DM Dock is a premium drum interface for your iPad that integrates directly with DM Touch. 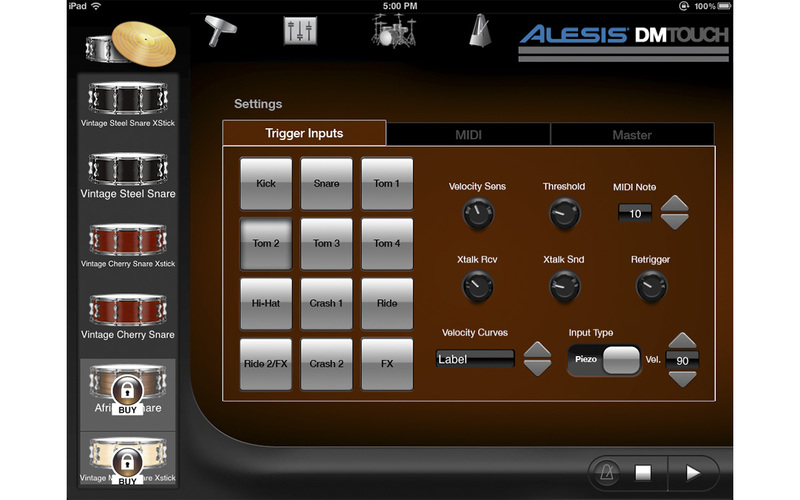 With this powerful combination, you can use your favorite electronic drum hardware, such as the series of Alesis drum pads, to trigger, practice, and perform with DM Touch. For complete integration with the DM Dock, DM Touch has an extensive menu that allows you to tweak the settings of your DM Dock trigger inputs. Alesis is a trademark of inMusic Brands, Inc., registered in the U.S. and other countries. inMusic is the exclusive distributor of SONiVOX. GarageBand, iPad, IOS, and App Store are trademarks or service marks of Apple Inc., registered in the U.S. and other countries. Cubasis is a trademark of Steinberg Media Technologies GmbH. Download DM Touch from the App Store, free.